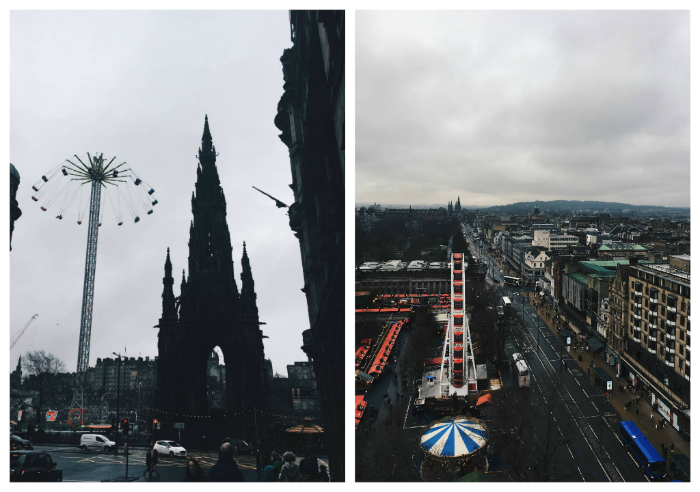 So, two days after the worst hangover I've ever had (thank you New Year's Eve 2017) a couple of friends and I headed to Edinburgh for a little city break. 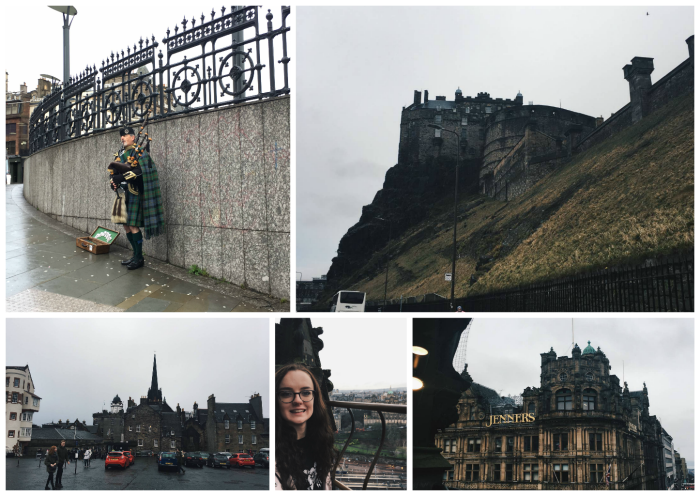 I'd never been to Scotland before, so this trip was full of firsts, including my first UK domestic flight. Which, can I just say is an absolute hassle when you have more toiletries than sense and only a carry on bag to put them in. Anyway, we flew from Bristol to Edinburgh for £40 return, and if you're local to me I would definitely recommend, it was only an hours flight and for £20 each way I'm certainly not complaining. We stayed in a Travelodge, and it was as expected; nothing glamorous, just somewhere to sleep and a bathroom. That being said, it was very centrally located, so if you're looking for somewhere budget to stay, it's certainly worth a look. 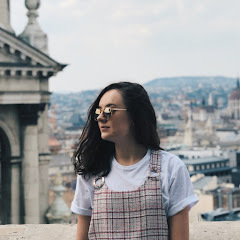 Whilst there, we did allllll of the touristy things. 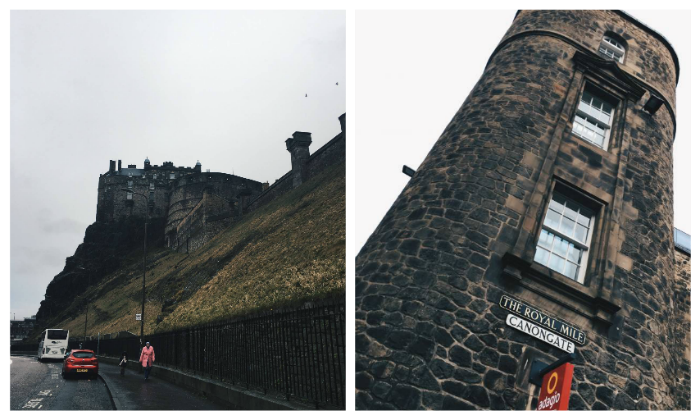 We went and saw the castle, albeit only from the outside because as the stingy students we are, we didn't fancy paying £17 to go in. Despite this, it certainly is a must do, as is walking along the Royal Mile. There are loads of little boutiquey shops and arty cafe's to pop in and out of, so a good wander around is a nice idea. One of my favourite things we did was climbing the Scott Monument. It has 204 steps, all of which are in narrow winding staircases, but the view from the top is so very impressive. Definitely worth doing if you don't mind heights and climbing staircases as narrow as your body. During a wet afternoon, we headed to the National Musem of Scotland which is absolutely full of things to do and see. I don't think we even saw 2% of the museum, so a look around there is a good way to kill an afternoon or two. A highlight was a piece of rock with 'weird rock' as it's title, how scientific. As for food and drink, we didn't go anywhere particularly exciting to eat, nowhere worth writing home about at least, but we did find a couple of interesting bars. The first being the Inn on the Mile, the cooler, more trendy of the two, and Waverly Bar, which had a Gaelic folk band playing live the evening we popped in.